Fender's American Vintage series is the closest you can get to a vintage Fender guitar without buying the real thing from yesteryear or moving into the more elite Custom Shop. 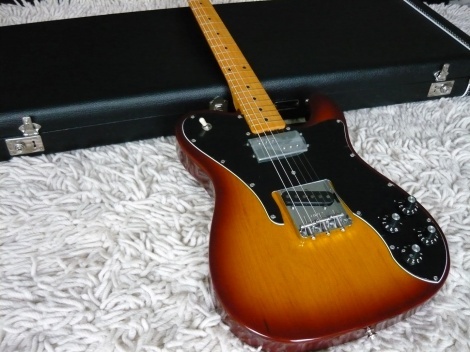 The '72 Telecaster Custom is a solidbody that marries a Fender wide ranging humbucker at neck with a Tele single-coil at bridge and, importantly, a Gibson-like volume and tone control for each pickup. Enter the four-control Gibson-style layout, complete here with Les Paul-like shoulder mounted toggle switch. It's gloriously '70s, too, with those amp-style control knobs, an even bigger scratchplate.